On January 26 spring officially sprang for me a bit earlier then expected. Walking across the yard early that morning at feeding time, I hear a sheep giving a motherly mutter. No I say not yet, too soon. 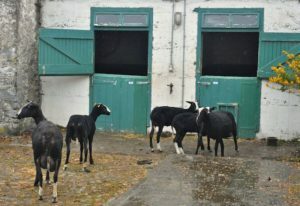 Peering over the stable door there is a new mother licking her new twin girls. One struggling to her feet, the other just born lying there shocked at being in the new world of light and cold, her head nodding trying to figure out what to do about being alive. That day passes into night. I come home from a wonderful night out with the local photography club. I had been asked to judge a photographic competition and have photography conversation with them. I go out into the dark fields for one last look only to find my second new ewe having just lambed out in the far corner of the field. 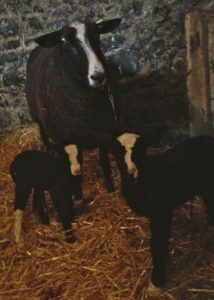 With frost settling in for the night I decide they must come in as they are still very wet. 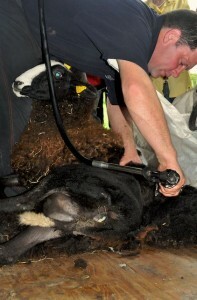 So much for nice ‘going out’ clothes and early lambing with afterbirth goo all over me. The lambs were very happy to be on nice dry warm straw sheltered from the biting wind. 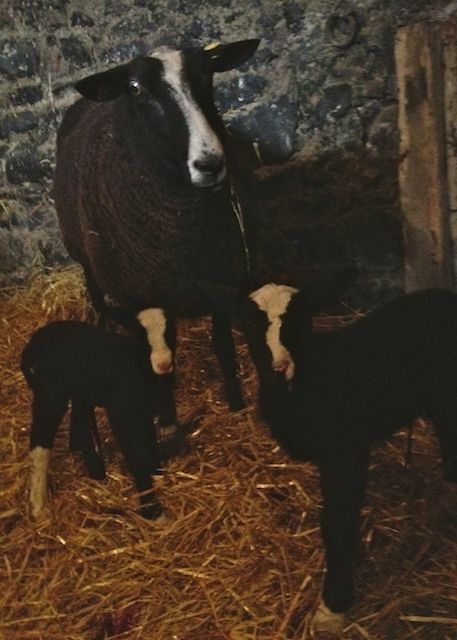 The main flock is due to lamb around the beginning of March. It is now a few days later, a cold grey wet winter day outside. While I write the rain is falling, clouds hanging low across the land, sloppy mud at gates with livestock behind them. 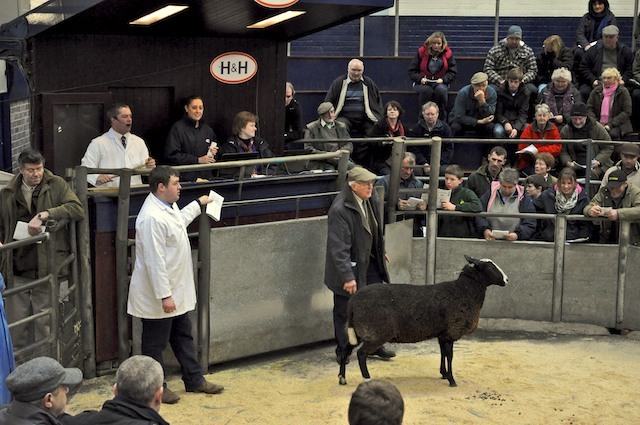 Winter feeding spends the money earned from last year’s livestock sales, but the hard work of lambing brings hope for good sales in this coming year. I reflect on what the coming year will bring and how to best keep expenses down but still make money. This is where Face Book and the modern social media comes in. Face Book is free and what work you put in will be well worth it in the end. 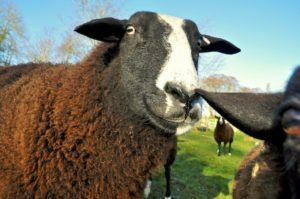 Face Book is a wonderful place to show off your flock whether you have 40 or only 2 Zwartbles sheep in your pure bred flock. Photographing them through the seasons tells your followers what is happening with your flock. For example when you’re putting the ram in with the ewes or how your scanning went. Shearing time with before and after photos showing woolly sheep, then skinny shorn sheep. 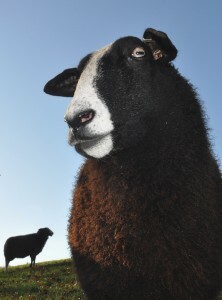 Show preparation and most important photographs of you with your winning sheep and ribbons, hopefully many red ones. Taking photos makes the story of your own flock interesting to others. 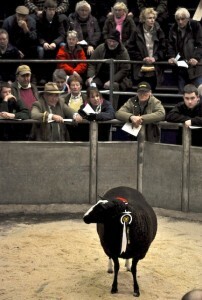 Then when you want to sell you can show off your stock so that other breeders can see what you have. But best of all are your followers on your personal Face Book Page. They will want to come to the next ZSA Auction where interested buyers knowing the back ground of your sheep might well get you a better price on auction day as more people come to bid. I have been asked by Zwartbles breeders if they could advertise their sheep for sale on the Zwartbles Ireland Face Book Page. I do not have a problem with this as long as they are a ZSA member and publish their flock information; but it would be far better for you to create your own Face Book Page. So when you have stock for sale Zwartbles Ireland shares your photos and then when someone is interested they click on your photo which takes them directly to your ‘Page’ and there they can see the rest of your flock and history. It is much better advertising for your sheep. The other side of Face Book is when looking for a ram or replacement ewes and you don’t want to waste expensive petrol driving around the countryside, look on Face Book and then select a few to view in person or better still preview before you go to the next ZSA Auction. You only need update your Face Book Page once a week or only once a month. You will get more followers interested the more you communicate. 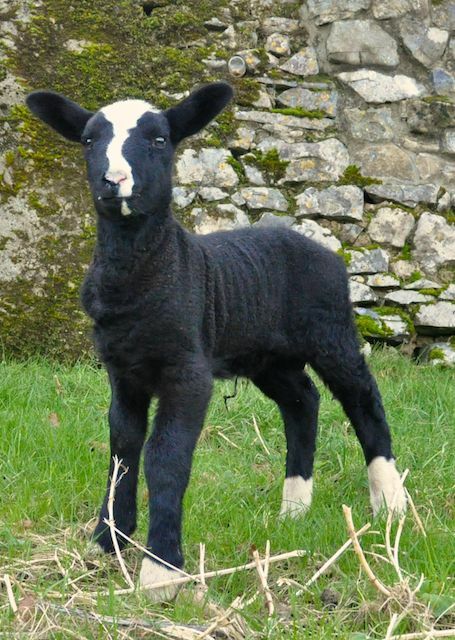 Once you are on Face Book and have made a personal profile then Create a ‘PAGE’ (Not a Profile or Group) for your flock; ‘Like’ other Zwartbles breeders ‘Pages’ as well as other farm information pages. 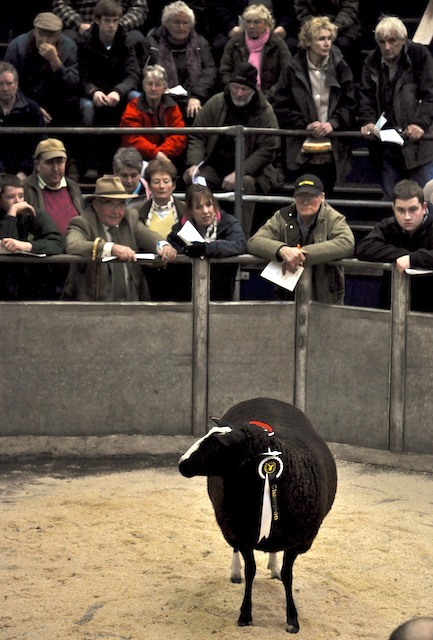 For example like the Irish Farmers Journal and Ear to the Ground or Sheep Breeders Association are useful. 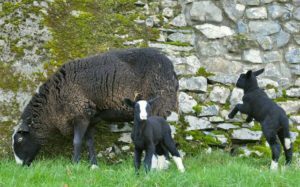 Then you can get information of what is going on when you turn to your ‘Home’ page and see what is happening with other Zwartbles breeders or farmers or other interests you might have ‘Liked’. As the saying goes ‘A problem shared is a problem halved’. If you have a conundrum or problem just mention it or ask and someone will find the answer or make a suggestion to find the information you need. There is a wonderful community here on Face Book with at last count 44 Zwartbles pages, most of them breeders. Do I or Don't I get into the foot bath? 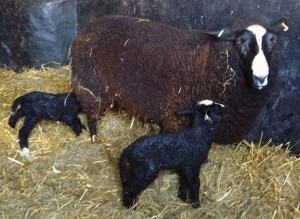 Please come and join the community of like-minded people who love and breed Zwartbles sheep on Face Book. 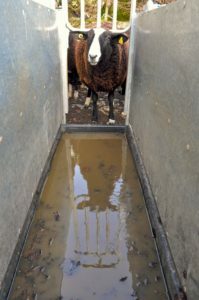 If you have a web site all the better when connected with a Face Book Page where people are more likely to ask you questions and see recent photographs of your beautiful sheep.